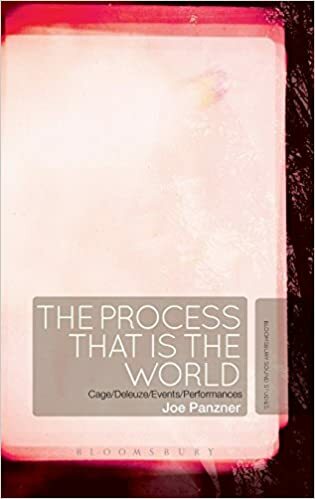 The Process That Is the World grapples with John Cage not just as a composer, but as a philosopher advocating for an ontology of difference in keeping with the kind posited by Gilles Deleuze. Cage's philosophy is not simply a novel method for composition, but an extensive argument about the nature of reality itself, the construction of subjects within that reality, and the manner in which subjectivity and a self-creative world exist in productive tension with one another. Over the course of the study, these themes are developed in the realms of the ontology of a musical work, performance practices, ethics, and eventually a study of Cagean politics and the connection between aesthetic experience and the generation of new forms of collective becoming-together. The vision of Cage that emerges through this study is not simply that of the maverick composer or the “inventor of genius,” but of a thinker and artist responding to insights about the world-as-process as it extends through the philosophical, artistic, and ethical registers: the world as potential for variance, reinvention, and permanent revolution. ontological truth – it is an active making-the-same in an effort to slow the world’s process of self-differing. If the goal of art is, as Cage often asserts, to imitate nature in her manner of operation, then it is necessary to abandon aspirations to transcendent judgment. “Right” and “wrong” do not factor into a mode of production that is purely immanent – only tactical, functional judgments of “more successful” or “less successful” can operate without an otherworldly standard of measurement.